Art Basel 2017 is here this year it’s even bigger and better. With so many events to see, you’ll need a place to unwind, relax, have a cocktail or two and the HIVE has you covered. 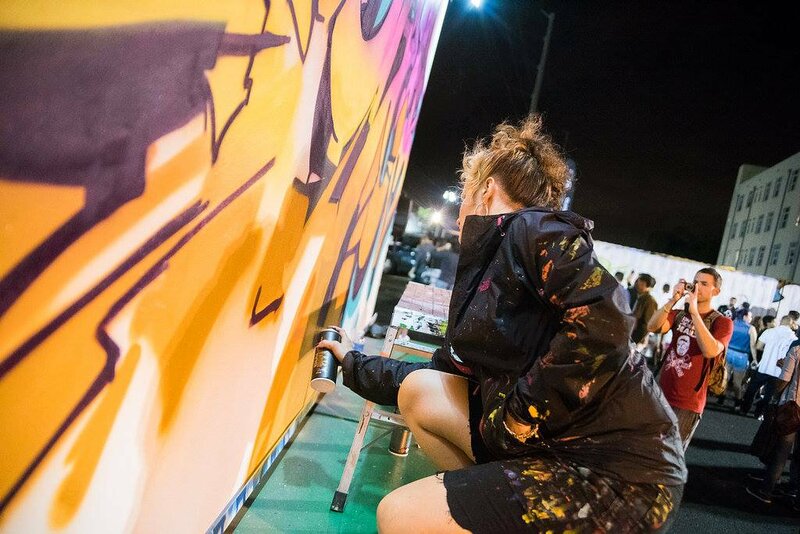 Art-Goers in the mecca of all the sophisticated Art Basel affairs can hideaway, explore and unwind at HIVE Wynwood, a complimentary four-day pop-up lounge nestled on the main artery of Wynwood during Basel Week. Featuring an exclusive larger-than-life circular mixology bar, live music, Miami’s best DJs rocking day and night, a spirits drinking experience, and a grand tasting food hall, HIVE will be the perfect stop in between your Baseling. Guests will be able to touch and feel the activations while tasting the best Art Basel and Miami has to offer. Step inside and sip on drinks at the circular mixology bar where Miami’s top local cocktail bars will be offering signature craft libations only available at their respective establishments and HIVE during Art Basel. The grand food hall will display a curated tasting expedition of global flavors, featuring gourmet dining in a relaxed atmosphere. Foodies will enjoy refined signature selections from Casablanca, PINCH, Tacos and Tattoos, China Box and more. “ Art Basel enthusiasts now have a place to take a break from art shopping, we created a village filled with experiences” said Javi Zayas, SWARM President “ HIVE will have a touch of sophistication Wynwood has never seen before” Because we all love a cocktail or two, maybe three- HIVE will have a spirits drinking experience where guests can tour over 8 spirit activations. Revolucion Tequila dares everyone to come confess at their pop-up confessional bar, after all, the truth always comes out with a shot of tequila or two. Pinkies will be up at the vineyard-like wine lounge with overflowing wine to satisfy winos. To keep you cool during the warm December days head over to the Red Stripe beach, where you can bring back the summer with a cold one in hand. Other pop-up spirit experiences include Deep Eddy Vodka, Red Bull, Chivas, Jägermeister, Ron Barcelo, Coppers Craft, to name a few. “ There will be plenty of art highlighted in the Wynwood area, we will be featuring the artists behind the bar, kitchen and turntables as they bring their craft to life” said Tony Albelo CEO Sunday Funday at the HIVE will showcase Miami’s top bartenders as they go head to head in the 2nd Annual “Behind the Bar” competition hosted by USBG. Hive, will sure have something enticing for all. Click here to RSVP and receive a complimentary Red Bull Cocktail. For more information visit hivewynwood.com and for up-to-the-minute updates follow the Hive Wynwood on Facebook and Instagram. The HIVE 2250 NW 2nd Ave, Miami, FL 33127 The complimentary four-day village begins on December 7th -10th, doors open Thursday 4PM – 3AM, Friday 3PM – 3AM, Saturday 12PM – 3AM and Sunday 12PM – 9PM.